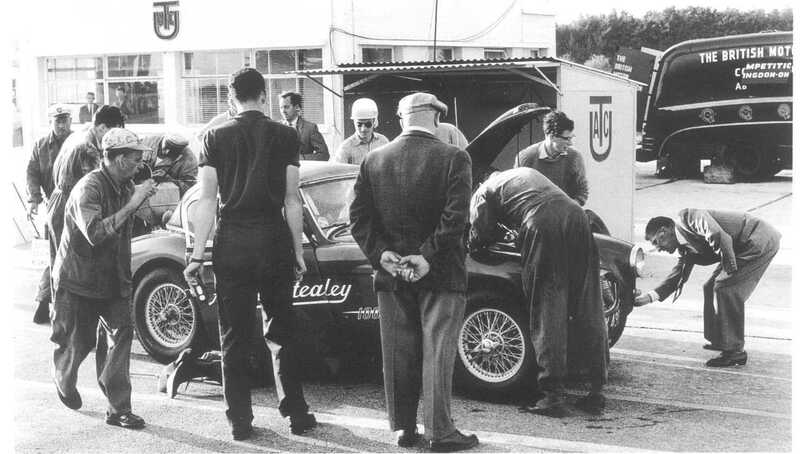 The attempt lasted four continuous days and nights and new records were set for 3,000 miles, 10,000 kms, 10,000 miles 13,000 kms, 2 days, 3 days and 4 days. For each of these records the average speed attained was in excess of 97 mph, unfortunately just falling short of the desired 100 mph but an amazing demonstration of the car's performance and reliability. After 4 days and nights of continuous running the car averaged 124 mph over the last two laps !! 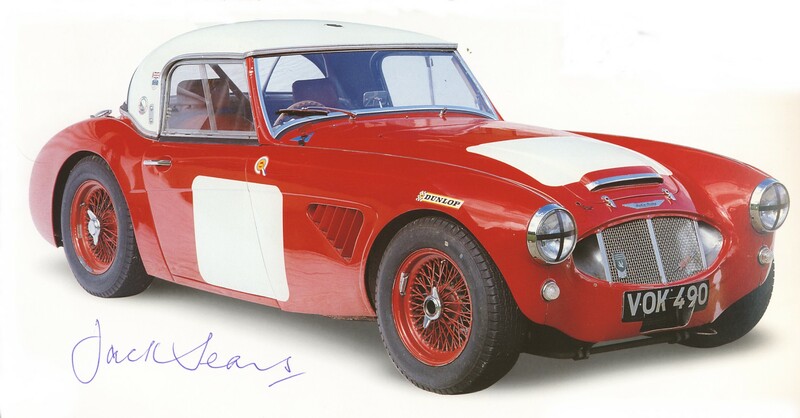 The car was once owned by Jack Sears who in 1959 had 4 wins, 7 seconds and 3 third places in 15 races resulting in him winning the over 2000cc class of the 1959 Autosport Production Sports Car Championship. 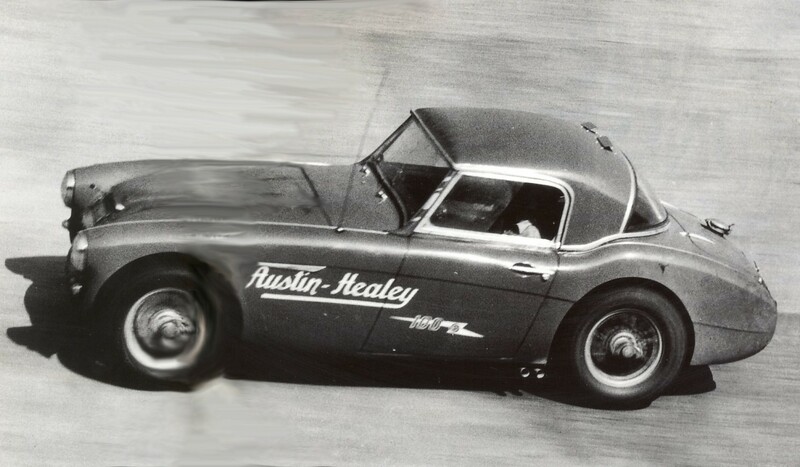 In early 1958, Gyde Horrocks of the Cambridge University Austomobile Club approached Marcus Chambers about attempting to break the really long distance Class D records that Healey had never attempted. 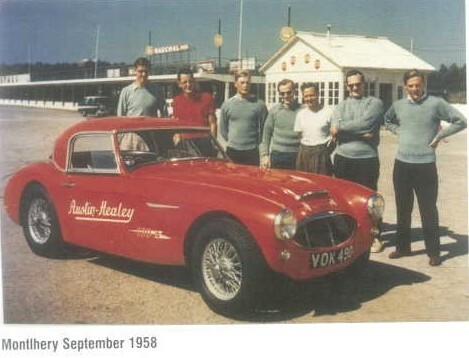 The CUAC had already achieved similar Class G success with an Austin A35 - Chambers agreed to provide them with a car and also a team of four Abingdon mechanics. 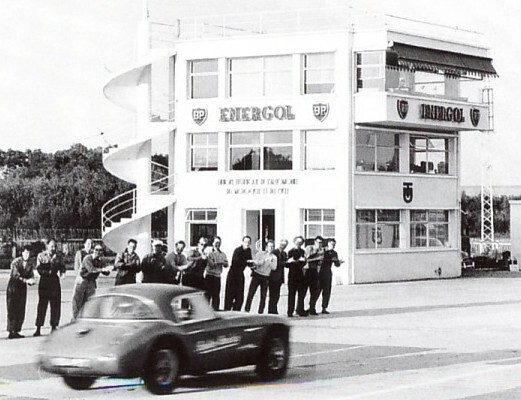 The record attempt was sponsored by Castrol and BP supplied the fuel.